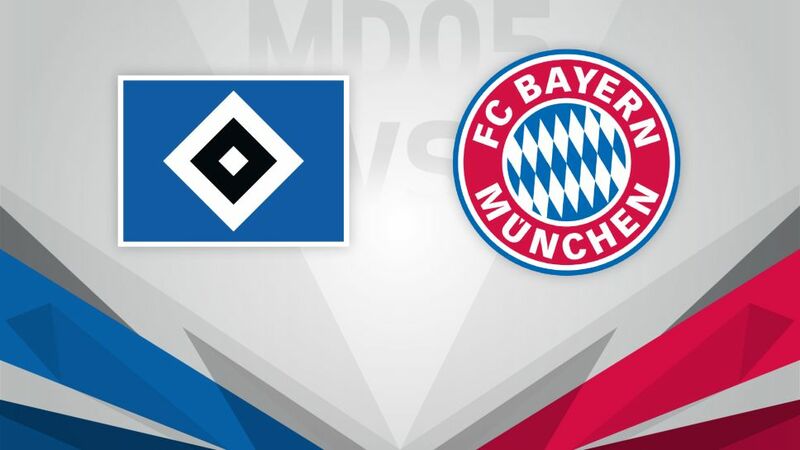 Hamburg will have their work cut out against Bundesliga leaders Bayern on Matchday 5. Lowly Hamburger SV face the unenviable task of keeping Bundesliga pacesetters FC Bayern München at bay on Saturday (kick-off 15:30CEST/13:30GMT). After taking a point from their opening Bundesliga fixture against FC Ingolstadt 04, HSV have suffered three successive defeats, conceding nine goals and scoring just once in the process. Bruno Labbadia's side are now in real danger of being cast adrift towards the bottom of the standings, with fixtures against top-four hopefuls Hertha Berlin and Borussia Mönchengladbach coming hot on the heel's of Saturday's North-South derby at the Volksparkstadion. Not for the first time, Bayern head north sitting pretty at the top of the Bundesliga standings. The record champions made light work of Hertha in midweek to not only extend their 100 per cent winning start under Carlo Ancelotti to seven matches in all competitions, but also set a new Bundesliga best-mark for the most successful start to a German top-flight season after four matches (four wins, 14 goals scored and one against). With one point from four matches, Hamburg have made their worst start to a season in five years.HSV have never lost more than three successive matches under Labbadia.Eight of the nine goals conceded by Hamburg this season have been scored by substitutes.Bayern striker Robert Lewandowski has registered ten goals and five assists in 12 matches against Hamburg.HSV goalkeeper Rene Adler is yet to keep a clean sheet against Bayern in 14 attempts (41 goals conceded).Bayern are unbeaten in their last 15 matches against HSV (W12, D3).